There is no denying that one of the defining technological breakthroughs of the past 5 years has been the implementation of home automation. Everything from lighting to your coffee machine can now be automated, so it was just a matter of time before other product categories joined the market. Smart vacuum cleaners have been available for a few years now, but only recently started to make their way into consumer homes. 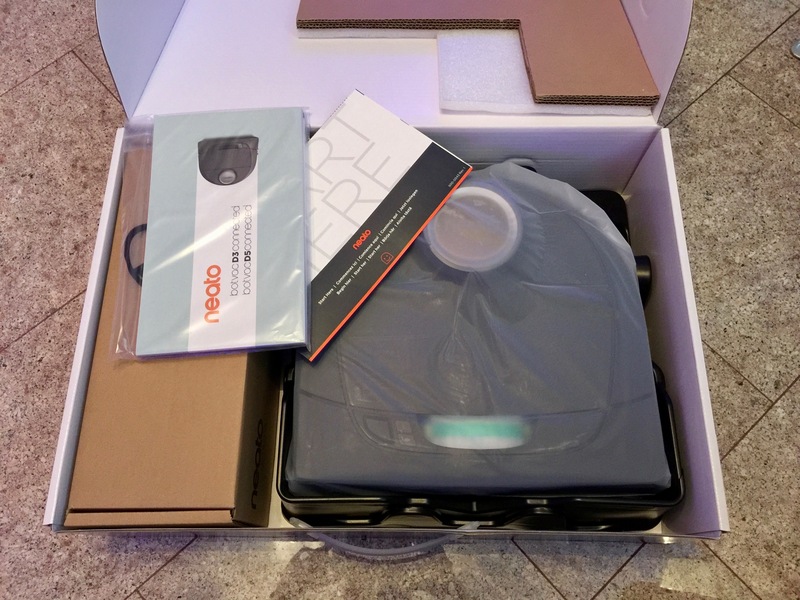 The price is still a little steep, which may mean that it will be a few years before they become a common household feature. Retailing for £599, the neato botvac D5 is certainly not cheap. But does it live up to the high-end price-tag? 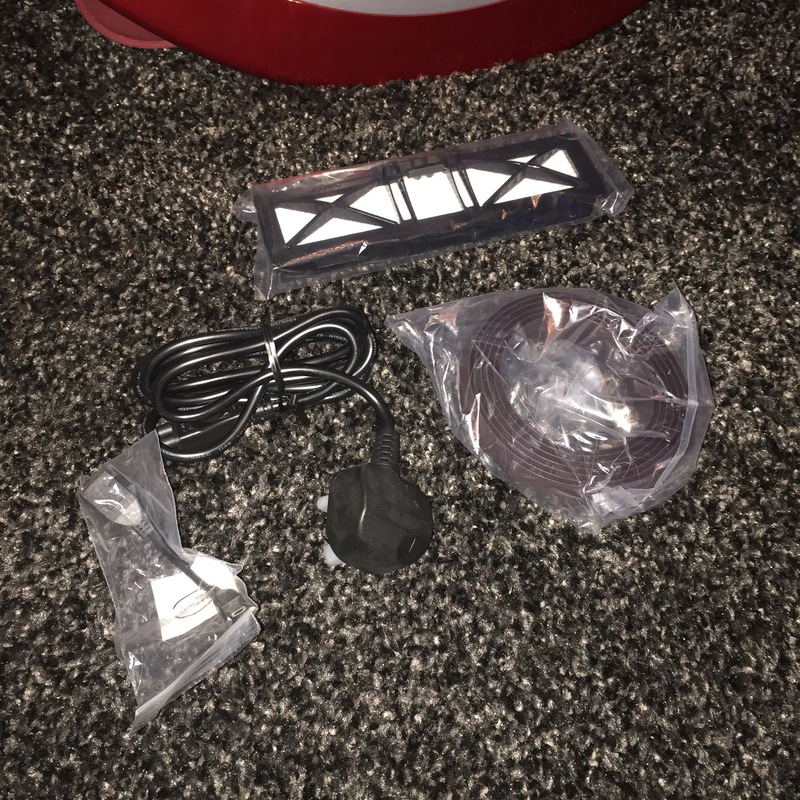 The charging base and main unit connect together by magnetic metal strips, which have a large surface area for easy docking. 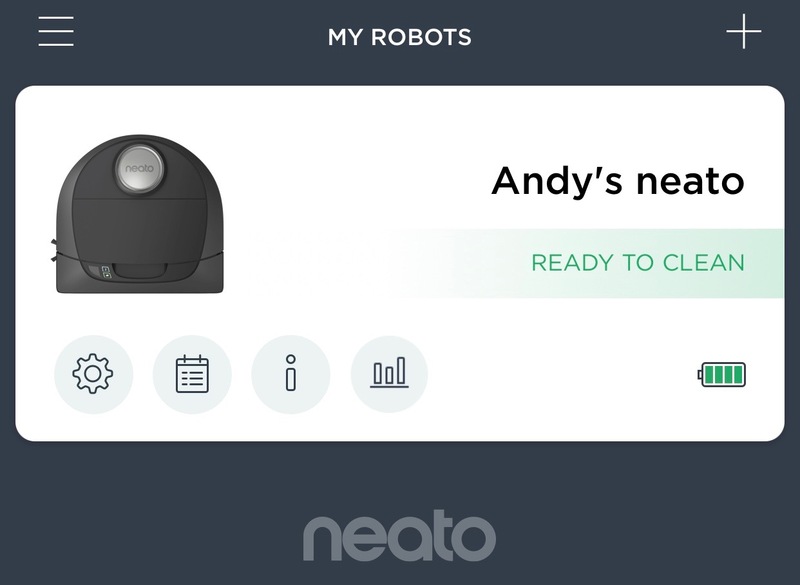 With the neato now set-up, you have a range of options, directly form the app. You can schedule cleaning times, so as not to interfere with busy periods of your day (i.e. mornings). For this reason, I have scheduled cleaning to be done when I am at work. This ensures that carpets are kept clean and dust-free. Further information about charge cycles, battery power, etc. can also be viewed. This particular model is marketed at pet owners. Owning a golden retriever is a huge challenge with hair, and I was interested to see how a compact vacuum like this would handle things. I already use a Dyson V6 Animal, which has fantastic suction power and is very effective. However, robot vacuum cleaners fill a niche and alternative market. 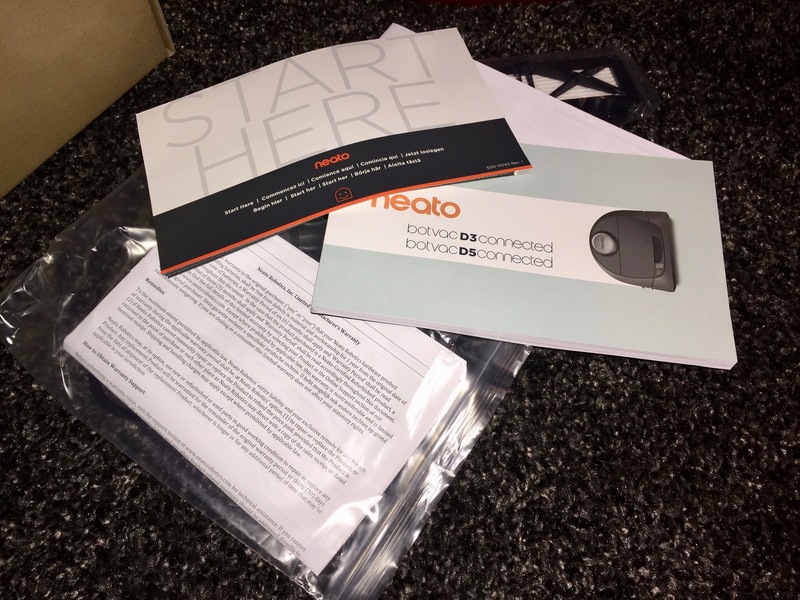 The neato is a very sophisticated piece of hardware. It features laser navigation which simply means it can detect obstacles, and clean around these. This mostly works very well. I have scheduled cleaning to take place when I am not at home, but have seen the neato in action as well. When it starts-up, there is an audible chime. After a brief pause, the neato assesses its surroundings and then starts to vacuum. It was incredible to see the neato in action for the first time. It skilfully navigated around my bed and other pieces of furniture, as well as the ability to climb over small permanent fixtures. The neato systematically cleans by moving neatly in a straight line, before turning around on itself and returning in the opposite direction, making its way across the room in this pattern. Cleaning is generally very good! It was particularly pleasant coming home to neat brush strokes along the carpet, seeing where neato had been busy. Carpets looked clean, and definitely had that ‘just vacuumed’ look and feel. 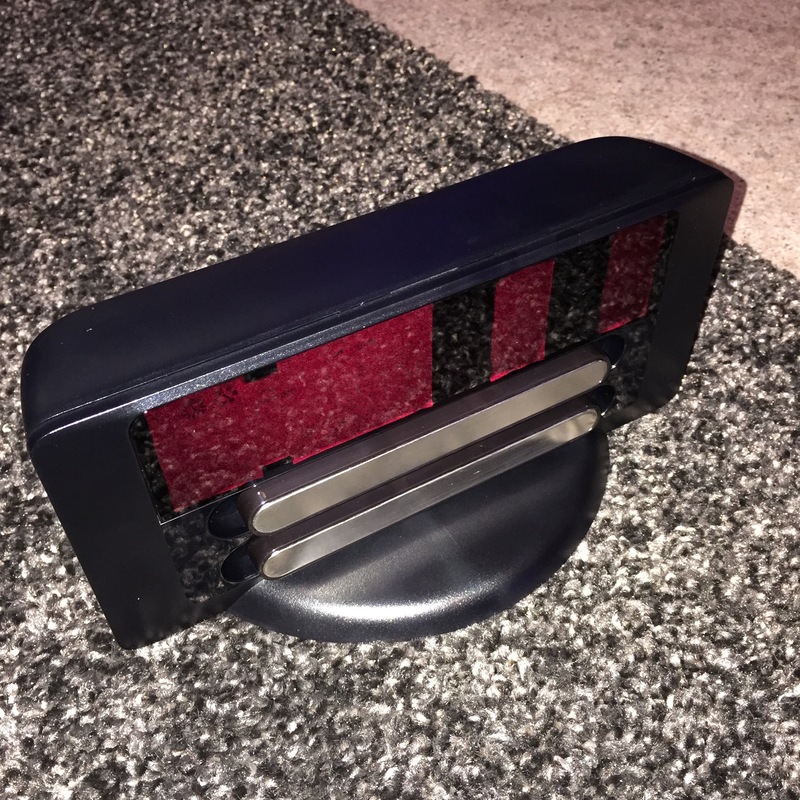 I felt that suction power we was very effective, and there was no discernible dust, crumbs or pet hair on the carpet. Corner cleaning was mediocre, but I will not hold this against neato, as it still does a very effective job. It is also possible to operate the neato without the app, simply by pressing the main front bumper. Following cleaning, the neato will return to base and reduce to be charged. Noise levels are a big factor when purchasing a vacuum. I am pleased to report that they are very acceptable here. 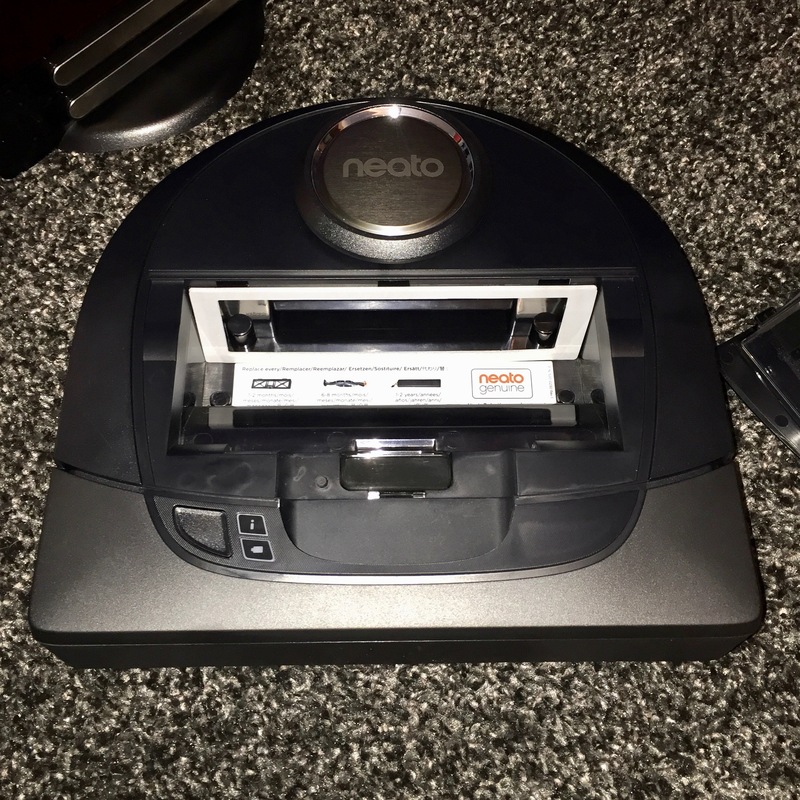 The neato is no where near as loud as a conventional vacuum, and I could comfortable hold a conversation with the neato running in the background. There is a loud hum when the unit first starts-up, but this is the extent of how loud things will get. However, there are a few minor negatives I have noted. Going between chairs with many legs in the way (such as dining table), the neato can get a little confused. Also, you need to be mindful of any cables or bag straps on the floor, as these can prove problematic if they get caught in the vacuum’s spinning brush. 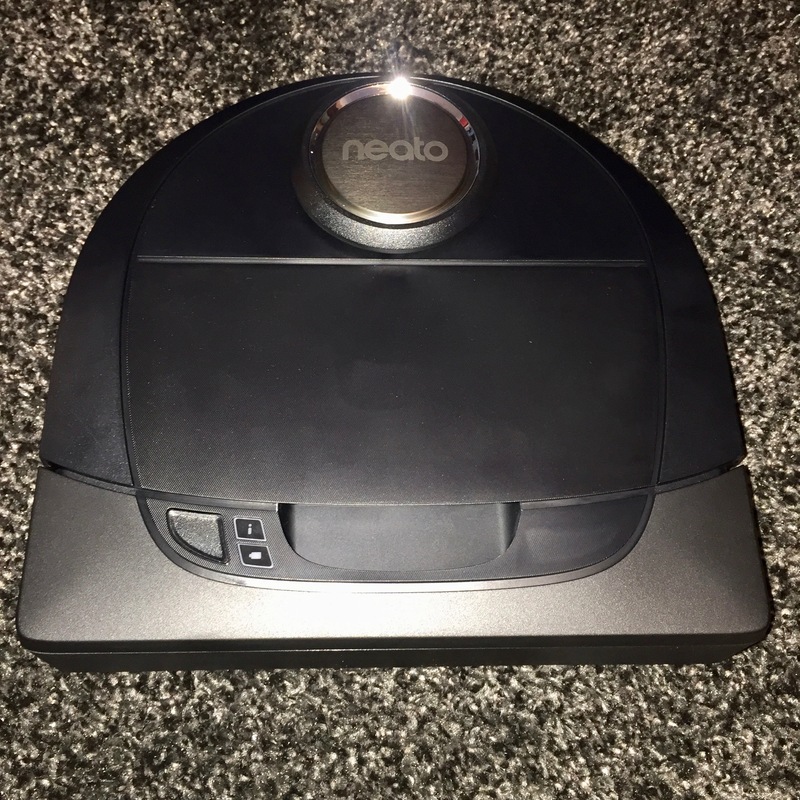 I would say that the neato is great for general maintenance, but a human-handed thorough cleaning will still be required every so often. However, this will be drastically reduced with the scheduled cleaning by neato. The neato comes equipped with a spare filter and belt. There are timelines printed on the unit itself, with reference to the replacement/maintenance of parts (please see the attached picture). I found the timelines to be a little too generous, but we will see how the neato fares over time. There is a 0.7L dust compartment which will need to be removed and cleaned on an ad hoc basis. 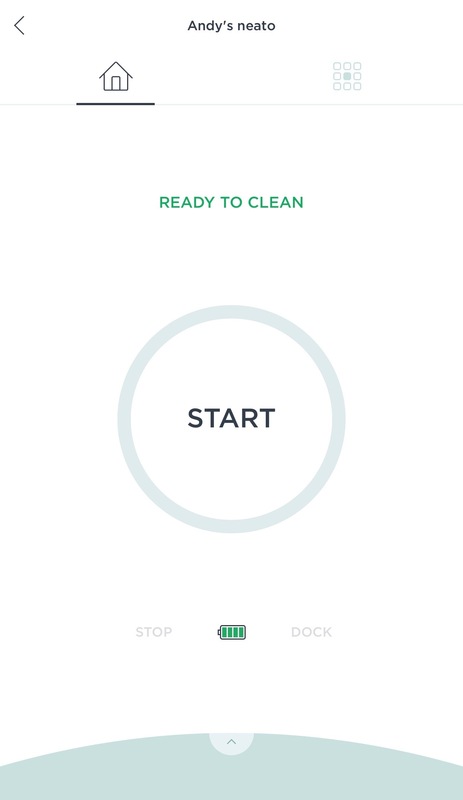 Notifications will also be sent to your phone with reference to maintenance, so you will always know when the dirt bin is full, when filters need to be changed, etc. 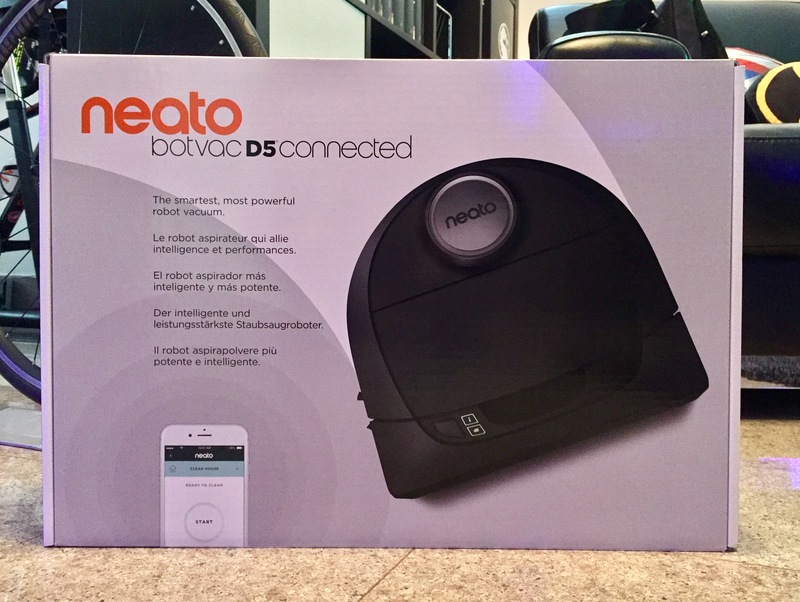 I have only been using the neato for around a week now, and am so far very pleased. This is definitely a unique and novel gadget that is not very main-stream. Carrying a steep price-tag, it may well be a while before we see automated vacuums in more households. I will be updating this review with further thoughts as time goes on.